Liability coverage pays others' costs when you cause an accident, protecting your assets if you’re sued. Buy enough to cover what’s at stake. 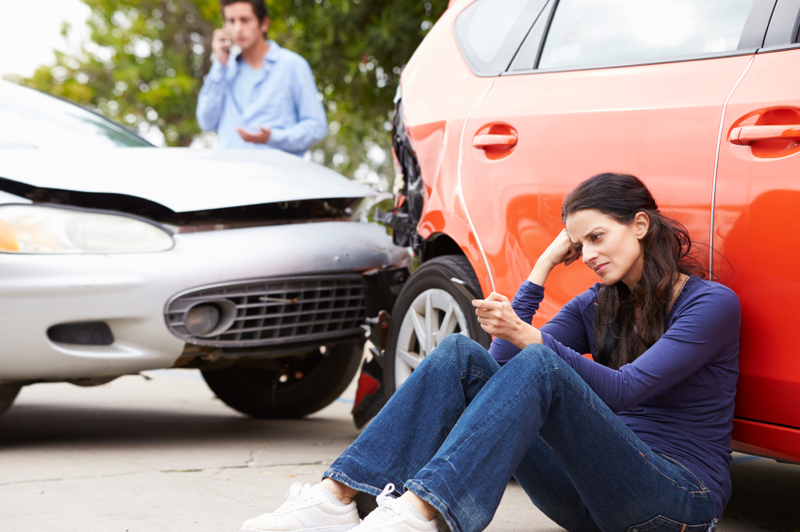 Liability car insurance protects you from losing everything if you’re sued for causing a bad accident. It’s also the type of coverage most states — all except New Hampshire — mandate car owners purchase. How much you need, then, depends on the value of your assets, or what your combined savings and property are worth. It’s highly dependent on your financial situation, so be wary of generic liability coverage recommendations you might see. The more you own, the more liability insurance you should have. Bodily injury liability covers medical expenses and lost wages for other drivers, passengers and any bystanders or pedestrians injured in a crash you cause. Property damage liability pays to repair or replace others’ vehicles and valuables, as well as damage to their property in an accident you cause. This can include government property, such as lamp posts. Your auto policy’s liability coverage does not pay to repair your own property or injuries if you cause an accident. If you caused an accident and were sued, liability insurance would pay first, protecting your assets from being seized or sold. But it only pays out up to the limits stated in your policy — you’re on the hook for the rest. $100,000 for injuries per person. $300,000 for injuries total, per accident. $50,000 for property damage per accident. In some states, you can buy a policy with one combined limit for injuries and property damage per accident. Your auto policy’s liability coverage does not pay to repair your own property if you cause an accident. Nor does it pay to treat your injuries, or injuries to a member of your household, if you cause an accident. Is liability coverage the only car insurance you need? Personal injury protection insurance, commonly known as PIP. This pays for lost wages and treatment of minor injuries to you or your passengers in an accident. It’s required in “no-fault” states, where PIP pays out before liability coverage, but victims in these states can still sue if they suffer severe injuries. Medical payments coverage, or MedPay. This is similar to PIP and covers you or your passengers’ injuries in an accident, regardless of fault. Unlike PIP, this coverage won’t pay for lost wages, and limits are lower, often less than $10,000. 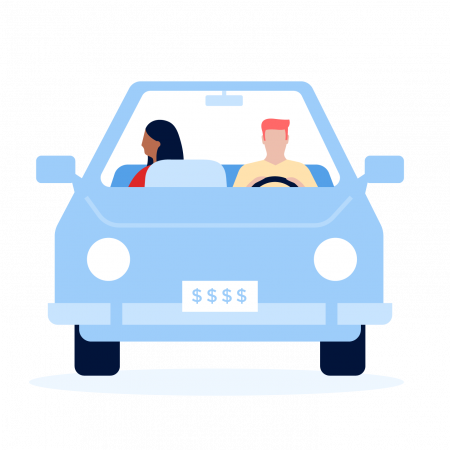 Uninsured and underinsured motorist coverage, which pay out if another driver causes an accident and doesn’t have any (or enough) liability insurance to cover your and your passengers’ injuries. Liability Pays for others’ injuries and property damage if you cause an accident. Personal injury protection (PIP) or medical payments (MedPay) Pays for your and your passengers’ minor injuries no matter who causes an accident. PIP may also cover lost wages and other costs. Uninsured/underinsured motorist If someone else causes an accident, but doesn’t have sufficient liability insurance to cover treatments for you and your passengers’ injuries, these pay the difference. Collision* Pays to repair your car after a crash you cause, or pays out your car’s estimated value if it’s totaled. Comprehensive* Covers theft and damage caused by vandalism or acts of nature (such as a tree limb falling on your car), among other things. *Collision and comprehensive coverage, when purchased along with required coverage, are considered “full coverage” car insurance. Collision and comprehensive are optional unless you have an auto loan or lease from finance company that requires them. You might be unable to purchase one without the other from some insurers. State requirements aren’t coverage recommendations, just the minimum needed to drive legally in each state. Injuries and damage from a car accident can easily cost far more than the required minimum limits. State requirements aren’t coverage recommendations, just the minimum needed to drive legally in each state. You might not need much liability insurance if you have no assets to protect. Suing you would be pointless for the other party. But if you own a home and have savings, you need enough liability insurance to cover their value. Add up the value of your home, cars, savings and investments, then subtract your debt to calculate your net worth. You’ll want total bodily injury limits (the middle number) at least that high. Options tend to come in $50,000 or $100,000 increments. For example, if you found your net worth to be $220,000, a good policy might have 100/250/100 liability limits or higher. Property damage tends to cost less than injuries in an accident, so focus on the middle number when looking at coverage options. $500,000 for injuries total, per accident. If you need more liability insurance coverage than a company offers, you might want umbrella insurance, also called excess liability insurance. It pays for costs exceeding the liability limits on your home or car insurance policy. Be aware that you may have to purchase the maximum limits on your home or auto liability coverage (or both) before you qualify for an umbrella policy. However, buying umbrella insurance is relatively inexpensive. A $1 million to $2 million umbrella policy costs about $380 a year, according to the Independent Insurance Agents and Brokers of America.